SKM ist an international manufacturer and supplier of plants, machinery and components for the building materials industry as well as for material handling systems and special machines. The SKM Group provides machines and equipment for the production of AAC blocks and elements. 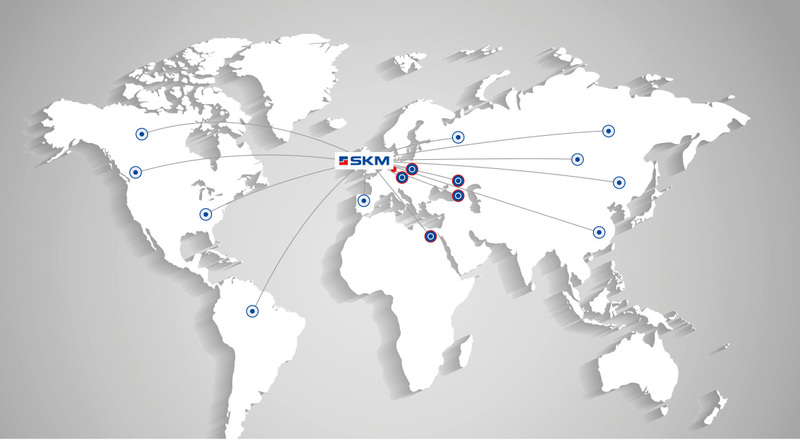 Comparable with a classic manufactory, SKM develops, produces and erects partial and complete systems. This includes electrical equipment, PLC hard- and software. The know-how ties in with the tradition of the mining technology of Lusatia. 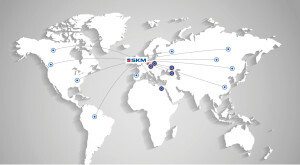 SKM is specialized in producing individual products as well as unique customized systems. The company is certified according to ISO 9001. It particularly excels by high accuracy and excellent welded construction. SKM has the certificate of constructor’s qualification for welding steel structures, class E. It is certified according to DIN 18800 T7, DIN 15018, DIN 4132 and DIN 22261 and thus, approved to carry out welding work. Owned to the flat hierarchy in our company we can ensure a smooth, high-quality and rapid implementation of customer requirements. The satisfaction of customers is an indication of continuous quality of the products. Long-time business partnerships guarantee a stable and successful business development. Examples of the expertise of SKM are the supply of tacking- and welding equipment for manufacturers of railway vehicles. It also produces special assemblies and supporting structures for the use in conveying machineries and extraction equipment for mining companies. Slewing scrapers were developed, produced and put into operation for the potash and salt industry. Interested in SKM? Get all the information about the SKM Group and the business units plants and machinery for the building material industry, material handling equipment and special machinery. Emails us at info@skm-group.com or call +49 35774 3560.